Valentino georgette blouse with contrast stitching. For in-store inquiries, use sku #2360381. 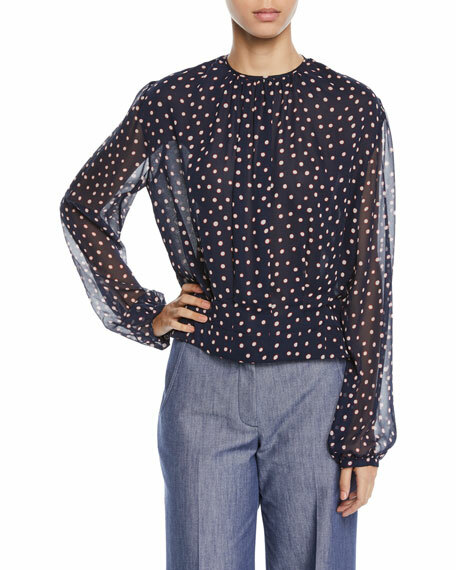 Derek Lam dot-print silk georgette blouse. Gathered, jewel neckline. Long sleeves. Easy fit. Keyhole back. Slipover style. Lining, silk. Made in Italy. 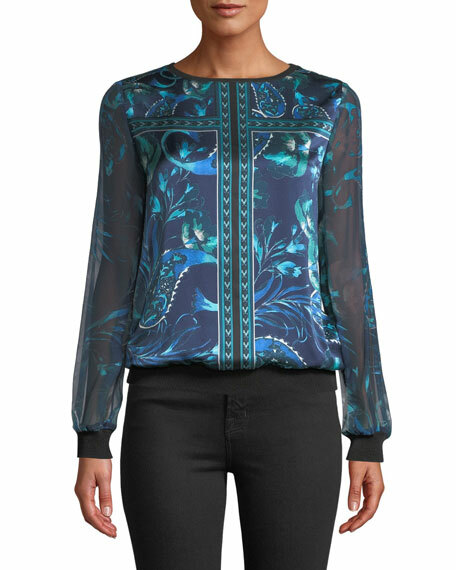 Elie Tahari "Mara" blouse in paneled floral print. Round, collarless neckline. Long, sheer sleeves. Ribbed cuffs and hem. Blouson fit. Silk. Imported. 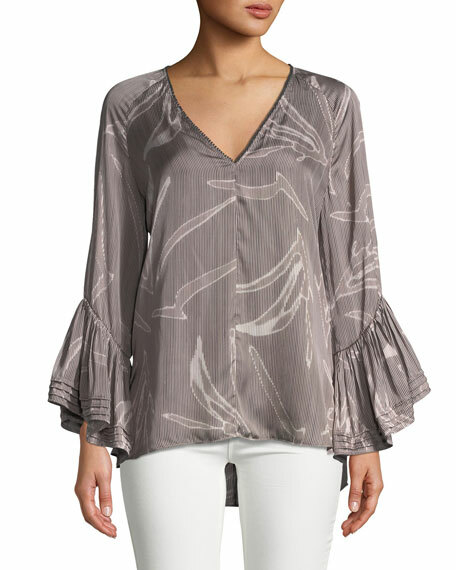 Halston Heritage printed ruched blouse. V neckline. Long, bell, ruffle sleeves. Shirttail hem. Slipover style. Polyester. Hand wash. Imported. 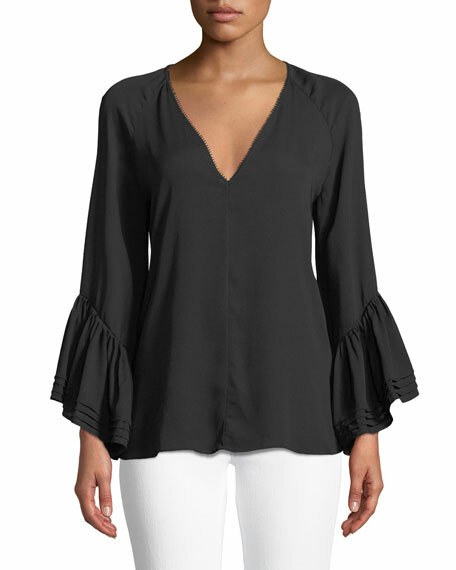 Halston Heritage ruched blouse. V neckline. Long, bell, ruffle sleeves. Shirttail hem. Slipover style. Silk/viscose/spandex. Dry clean. Imported.